Marvel Shire is located at Sriperumpudur, which is around 32 Kms. from Chennai, where we have already sold around 1500 numbers of approved housing plots. This Marvel Shire is an extension of the above approved plots in an extent of around 12.50 acres. It is just opposite to Hyundai factory, Irrungattukotai SIPCOT Industrial Estate and has vast potential. This project is development of 7.08 acres of land in to 127 independent two/three bedroom houses with a built up areas ranging from 1177 sq. ft. to 1562 sq. ft. on a plot sizes ranging from 1200 sq. ft. to 2201 sq. ft. 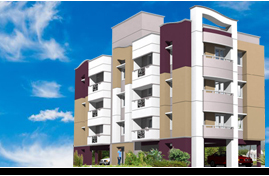 This project is situated on Manapakkam High Road, which is off Mount Poonamallee (NH-4) highway, just 2.8 Kms. from MIOT Hospital. It is an extension of Marvel Riverview County Phase-I in an extent of 8.21 acres adjacent to Phase-I, which will have around 181 houses with a built up areas ranging from 1171 sq. ft. to 1490 sq. ft. on a plot sizes ranging from 1200 sq. ft. to 2765 sq. ft. It is an extension of Marvel Riverview County Phase-II in an extent of 4.50 acres adjacent to Phase-II, which will have around 90 houses. It is an extension of Marvel Parambariyam Phase-I adjacent to Phase -I, which will have around 37 houses with a built up areas ranging from 1171 sq. ft. to 1490 sq. ft. on a plot sizes ranging from 1200 sq. ft. to 3938 sq. ft.
Marvel Lakeview County independent house project situated at Puzhal, Chennai and surrounded by the water catchments of Rettai Erri, Puzhal Lake and Redhills is about 1.5 kms off the 200 ft Chennai-Calcutta GST Road. This project is spread over a sprawling 7 acres of land to accommodate 85 independent houses with a built up areas ranging from 515 sq.ft to 842 sq.ft on a plot sizes ranging from 780 sq.ft to 2560 sq.ft.